Txinghua University is China´s largest research university in Beijing and the 4th best university in the world according to the Times Higher Education rankings. The University is known for being the best university in the world in teaching engineering and computer science based on output and performance and has topped Caltech, MIT and the National University of Singapore. The university was established in 1911 after an agreement with president Theodore Roosevelt to exchange students of the United States coming to study in China in turn allowing Chinese Students to study in the United States. The University also served as a preparatory college for Chinese students to study courses ad the English language that would help them settle in US universities. The University´s educational model has its origins when the Republic of China reformed into the People’s Republic of China and adopted soviet style education. Today the education still remains largely based on the Soviet model with a few additions of the American Model and even the current Russian educational model, therefore proving to be one of the most unique and progressive educational research universities in the whole world! Today, the university also teaches Life Sciences, Humanities, Social Sciences and Law and this dates to the 1980´s when Txinghua University began incorporating China´s major Law, Science, Humanities and social studies colleges and today is China´s most diverse university. Currently, Txinghua and MIT have formed the Txinghua-MIT Global program and therefore the two universities exchange their engineering courses, giving both Americans and Chinese students the benefit of studying the best engineering education available. Any student who is looking to take engineering or mathematics majors should apply to this university without a secong thought. Txingua University´s engineering courses have state of the art professors, technology and as mentioned before, an education that is so diverse and modern that without a doubt, will turn any of their engineering & mathematics students into brilliant minds. It is also worth mentioning that other courses taken in Txinghua such as Law or Humanities are just as good as their engineering and mathematics courses, therefore allowing any student within China to have the best education available not only within the country, but the whole world. Sports-wise Txinghua University is also excellent! The university feature China´s largest sports unions with 38 teams for 26 types of sports games. Among China´s sports games include fencing, climbing, middle-distance running, table tennis, baseball and softball, badminton, tennis, handball, aerobics, chess and other sports teams such as basketball, shooting, rowing and even includes sports for women, making this a very competitive university and possibly one of the world´s most competitive universities ever. In overall, Txinghua University is the best university for engineering and Mathematics and should be the number one on the list of those particular students. However, anyone wishing to take majors that are not engineering or mathematics should still seriously consider the chance to study in the university as the educational model combined with the excellent state of the art professors will equally turn all students into brilliant minds and hardworking young-ins. Social life is also very engaging. Events and outing are organized very often and people can be seen organizing parties in the dorms, students meet up for clubbing and at times, even meetings with other universities are organized therefore displaying the universities outgoing nature especially among the international and the American community. Girne American University is definitely an experience one shouldn´t miss. From the state of the Art modern education to the very international and cozy environment. Mathematics and Physics are compulsory! A legal permission visa granted by the government of the peoples republic of China. The student social life is very engaging! When in Beijing, the first thing you will notice is how crowded the city actualle is. You will see sidewalks filled with pushy people and pedestrians always in a hurry. 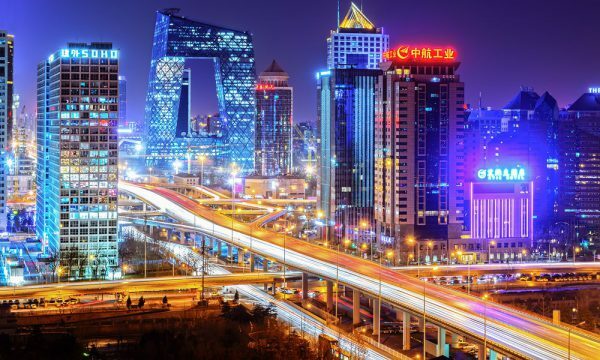 You will be surprised by the sheer amounts of markets and bazaars filled in the streets of Beijing with many food stalls, clothes, souvenirs and many other stores that sell different items such as electronics and supermarket items. The majority of people in Beijing are also very polite and one will be surprised to note at how formal they can be. This is because Beijing is a very popular tourist area and therefore the citizens are accustomed to foreigners. They will be very welcoming and won´t hesitate to answer questions, even if their level of English may not be as good at times. 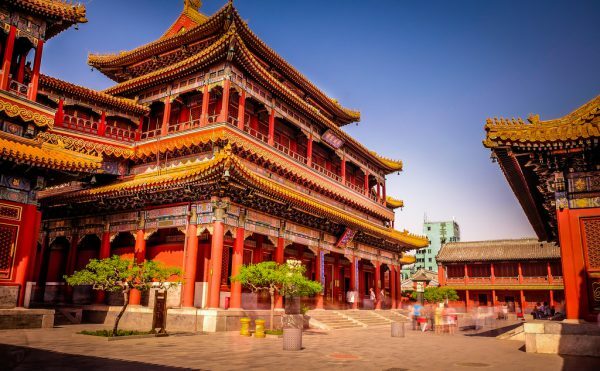 You will also notice how culturally diverse Beijing is where many of its citizens and tourists come from abroad, with the Russians, Americans, Canadian and EU Europeans being the most common nationalities seen in Beijing. In overall, Beijing is a very crowded city with a very diverse population and a very unique mix traditional building and modern skyscrapers. Living in Beijing will never leave you lonely. The population is definitely overcrowded leaving the streets very busy at almost all times every day. It is guaranteed that you will also never run hungry as you will see theres food stores in almost every block in the city let alone the vast amount of different restaurants that are available at your disposal. Chinese people are very busy in general, however there are plenty of polite and mannered locals who will help you get settled. Social life in China is more conservative compared to their Hong Kong and Japanese neighbors and are normally found hanging out late in bars or staying at a friends house until late having a drink chatting. 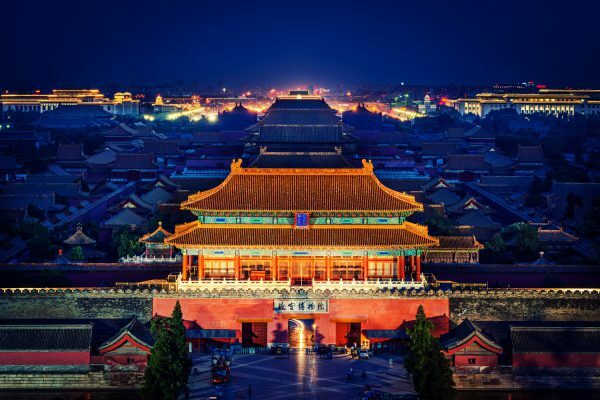 In overall, life in Beijing is a unique experience one shouldn’t miss out on and the fact that there are many places for you to eat and do shopping demonstrate that this city has a very appealing life for shoppers. China’s largest preserved heritage site, here you will find ancient Chinese buildings and temples that represent Chinese culture and history. 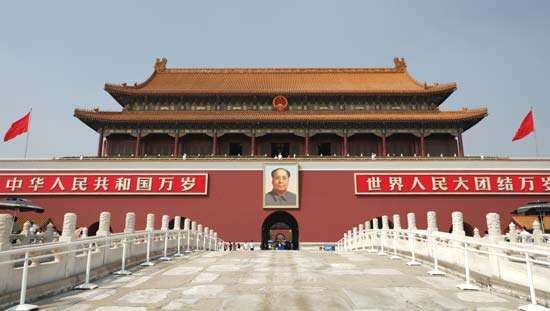 China’s most famous district, full of soviet styled buildings, this is the world’s largest square paved in stone at the heart of Beijing. Flag raising ceremonies are performed daily at sunrise. The Chinese cuisine is perhaps the most delicious cuisine in the whole world. Many western dishes originated from China such as spaghetti having its roots from noodles and ravioli´s originating from dumplings. It is no secret that Chinese food is outrageously delicious ranging from the sweet & spicy soup, the roast dishes, the sweet and sour chicken and pork dishes to possibly the tastiest duck dishes in the whole world! Beijing also has a lot of international restaurants such as Italian, American, French, etc. Apart from the typical Chinese food, you will also notice that in Beijing the whole city is filled with food carts with some of the most unique dishes you can find, especially if it belongs to a certain local villages. Vegetables and fruits are very common as well, so in overall you will never end up hungry in Beijing. 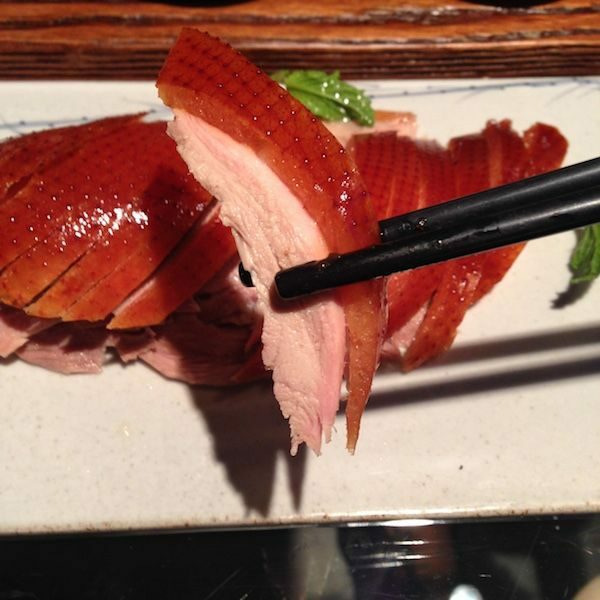 The number one place to eat Beijing Duck. This place is definitely a must visit because the Beijing Duck is simply amazing, no Chinese restaurant will ever have a dish this tasty no matter if its China, Europe or the USA. 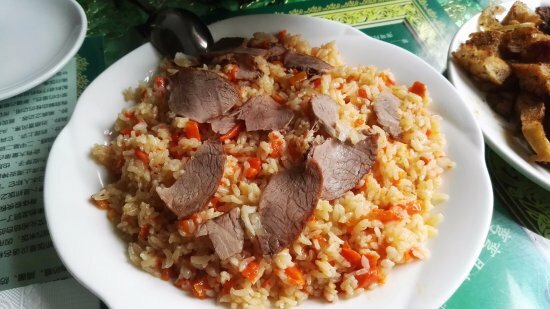 An Uyghur restaurant, this place is ideal for people who like skewed lamb, chili and shish Kebabs. The place is very welcoming, has a very cozy interior and staff who are ready to attend you with care and attention.